Bran Prune Muffins are the perfect grab n’ go, eat on the run, good for you too, kinda muffin. 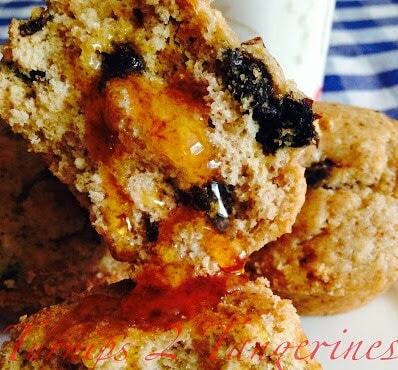 Made with bran flake cereal, buttermilk and chopped prunes, there really isn’t much not to like in these muffins. Make up a batch of muffins on Sunday night and you’ll have muffins to eat for breakfast, for the rest of the week. Mix together, bran flakes, shortening, and water. Add sugar and egg. Stir until mixed. Mix together, flour, baking soda, salt, buttermilk and prunes. Add to bran flake mixture. Stir just until combined. Spoon batter into greased muffin tins. Bake at 350º for 22 to 25 minutes. 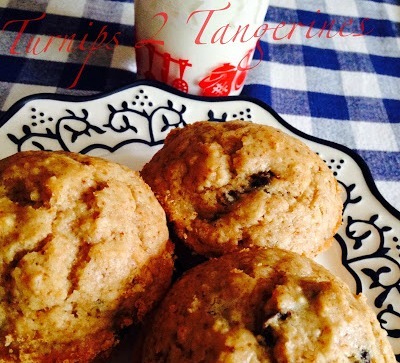 My kids love muffins and these seem nice and healthy! Great recipe! 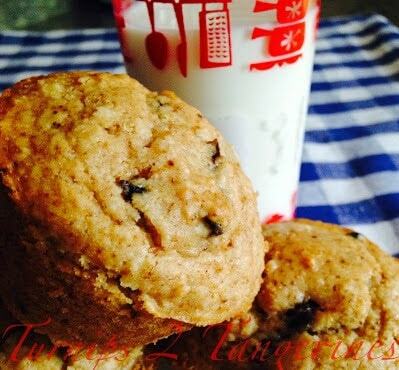 I never get tired of muffin recipes plus my daughter loves to make them, too. I haven't made bran muffins in awhile – thanks for the recipe! Mom used to make bran muffins all the time so when I make them I think of her. Like the idea of the prunes ratrher than raisins. Muffins are a house staple here! Love the prunes instead of raisins, looks like one healthy muffin. These muffins are delicious! I thought of adding a shredded apple, in place of the prunes, but the prunes turned out great. These sound like the perfect breakfast to enjoy with a hot cup of tea (or as you would say..I think?…hot cuppa)! Yep Veronica!! A hot cuppa tea or coffee:) I could even have one with an ice pop!